Pull up a chair at Walrus’s airy outdoor seating area and order a plate of the most gluttonous way to eat bivalves: deep fried. 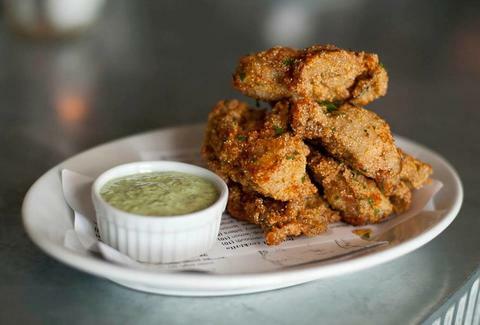 Served with a side of cilantro aoili, oysters don’t get much better than this. 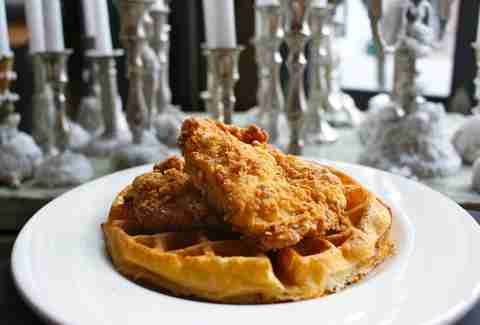 You can’t miss Local 360’s chicken and waffles, which come with maple pepper jelly. If you’re lucky, you might even be able to snag a seat in the mini outdoor seating area... and pair 'em with a whiskey cocktail, so you’ll really be living. 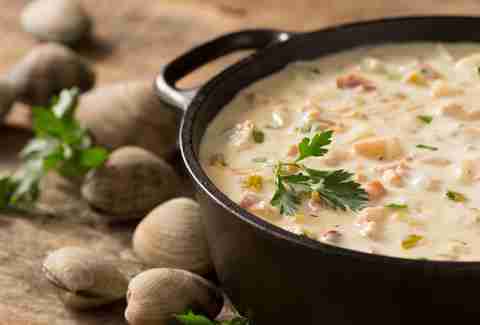 Stop by Pike Place Market staple Pike Place Chowder for its signature hodgepodge chowder to enjoy while you take in a sweeping view of the Puget Sound down the way. Sure, it can be touristy, but there's a reason you're gonna have to wait in line to get it. 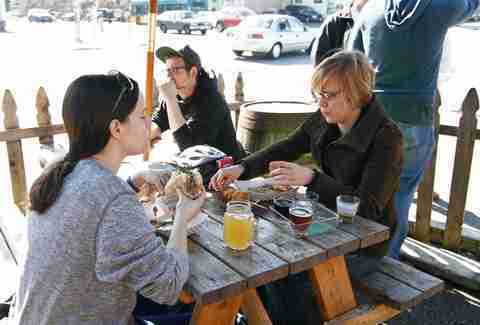 Have a drink at neighboring Montana… maybe even in their outdoor parklet if you’re lucky, then hop over to Kedai Makan for some of the best Malaysian food in town. 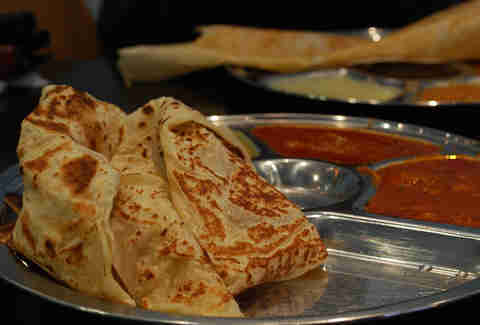 We love the roti canai, a Malaysian roti with dhal curry. You’d be hard pressed to find a better version around. 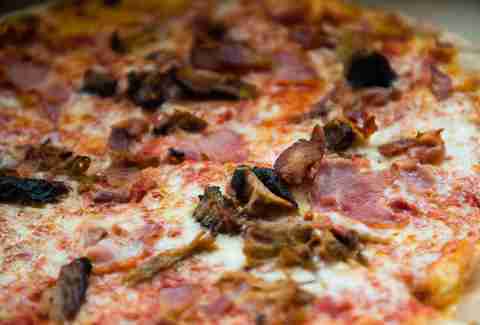 If we were this pizza, we probably wouldn’t be all that humble: it comes with prosciutto, pulled pork, and bacon, plus it's served at a place with ample outdoor seating and picnic-style benches, making it the perfect summertime hang. For some of the best views around, you can’t go wrong with Westward. 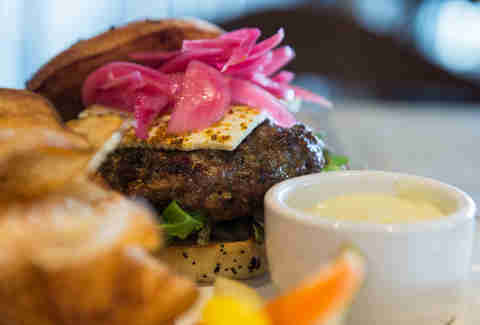 The quirky and nautical spot’s menu features a feta, tomato jam, and pickled onion lamb burger that will ensure this spot becomes a fast favorite of yours. It doesn’t get more summer-y than some good ol' paella done right. 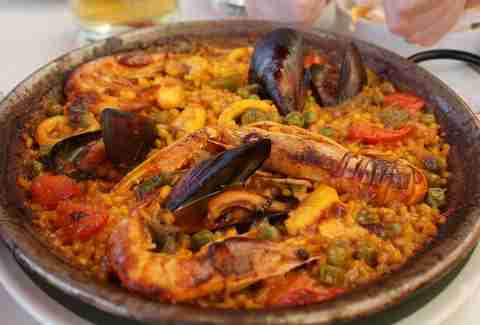 Terra Plata celebrates paella night every Monday. Dine up at its rooftop area and enjoy tapas, sangria, and more with your Spanish-style seafood medley and enjoy the breeze before returning to the hot streets. Stationed outside of Chuck’s Hop Shop on the weekends, the recently opened Bread and Circuses is fighting a brutal war every day. This war is the War of the Pig, which has Italian roast pork, aioli, havarti, broccoli rabe, jus, and chilli oil all on a hoagie. We’re just going to say your appetite doesn’t stand a chance. 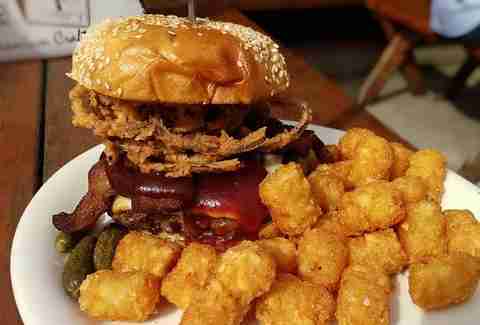 Having a hard time deciding between BBQ and a burger? Fret not, indecisive reader, Twilight has a burger for you. Grab a spot in its expansive outdoor back area and ready the napkins -- this bad boy has Zoe’s bacon, fried shoestring onions, BBQ sauce, and muenster cheese. Forget Pioneer Square, now you can load up on your favorite sandwiches on the go thanks to the new Tatsmobile. 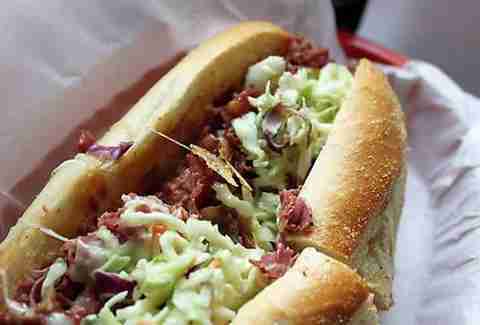 The appropriately punny Tat'strami has-house-cured and smoked pastrami, Swiss cheese, Russian dressing, and sweet slaw. For more information on where to find this truck next, find their schedule here.